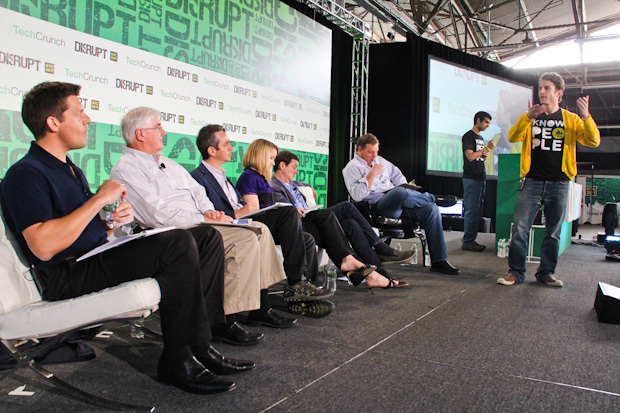 At the TC Disrupt Startup Battlefield finals going on now, after Sonar CEO’s product demo. TechCrunch editor Michael Arrington asked founder Brett Martin, how much he spent to build the service which introduces you to people relevant around you. Botha was non-plussed. Sequoia invested about $25 million in photo-sharing app Color’s $41 million Series A round. “I’m comfortable with silence,” Botha, responded. To Botha’s credit Google’s Marissa Mayer was less effusive, likening the Sonar to a feature rather than the service. Sonar monetizes by a “Promoted People” feature, which means that users who want to have prime real estate on the app will pay more, and is as of yesterday revenue positive. “That’s so brilliant and so awful,” Arrington said.